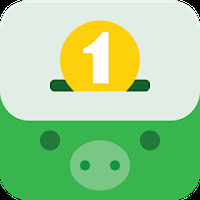 "Manage your finances with this simple app"
App description: Money Lover - Money Manager lets you organize your personal expenses and keep track of daily expenses. Functions: Track your expenses, records how much money comes in and goes, categorizes the expenses and you can get spreadsheets from your monthly income. How to use: Sets an initial value for the application and presents all your finances, categorizes and describes the amount spent on each case. Languages: Available in: English, Vietnamese, Wine, Czech, Dutch, Greek, Italian, Portuguese, Russian, Spanish, Swedish, Turkish, and Thai. Recommendations: Recommended for those who want a personal control of your expenses with easy access from your mobile device. Requirements: The app varies depending on the device's Android version. Developer: Bookmark	- Developer trusted by the Android community. Rating: The TOP 5 Most popular Apps in Money Manager category. Ranking: The TOP 1 Most downloaded applications in Money Manager category. More than 45 types of categories to save costs. Organized, smooth and sophisticated interface. You can not move the application to the SD card without reducing functionality. Do you like Money Lover - Money Manager? Tools for money management and financial control!